If you are like many entrepreneurs or small business owners, you need financing to start, operate, or grow your business. The term "financing” does not necessarily mean getting a loan. The options for financing are plentiful, but some methods have a higher success rate compared to others, depending on what the situation is. If you are looking to start a business or raise money for your business, this website is for you. It breaks down the steps you need to take to get financing quickly and efficiently, from a variety of different sources depending on what source is right for your business type. It is NOT a one size fits all. Wouldn't it be nice to have someone provide you with the most important information you will ever need about getting business financing - someone who has been in your shoes, who has forged the funding path before you? Well, look no further...you have found your trusted advisors. Explore the pages on this website for the most practical, six-step guide to financing your business. 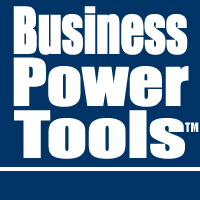 For proven templates and software for organizing, building, marketing and funding your business, check out the Business Power Tools.